Clients, architects and designers have found a versatile sign system with lasting visual impact and a wide variety of options. Paneltex is possibly the easiest post and panel sign system in the market to change and update. The success of Paneltex springs from its ingenious construction, its winning appearance, and its remarkably flexible applications. Paneltex offers a slim elegance yet modular structure for swift assembly and easy alteration. At the same time its robust nature ensures that this is a system of real permanence. 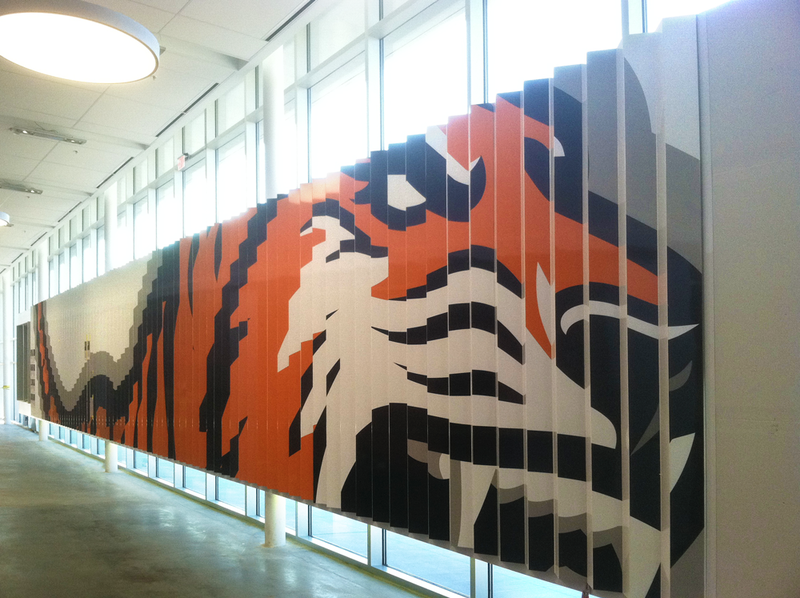 The panels are made of .063″ aluminum, which is finished in a durable automotive grade polyurethane spray paint finish. A unique rounded aluminum extrusion clamps panels to their poles for freestanding installations or wall and suspended signs. For 2006 a new illuminated panel is being launched. One of the most versatile features of paneltex is the ability to decorate it to taste. The system components can be used to create exciting color schemes not readily available in other modular sign systems. Standard paint finishes are available. PANTONE colors are available subject to an additional equipment and material preparation charge. Our new sleek curved monolith system gives a sophisticated appearance and the perfect substrate for designers looking to achieve a contemporary solution to interior and exterior wayfinding design challenges. The system consists of a wing shaped extrusion that can be joined back to back to complete a complete monolith and is available in wall, post ceiling and freestanding configurations.